*This is a personal design project. All design, storytelling and concept was created by Sunha Joo. 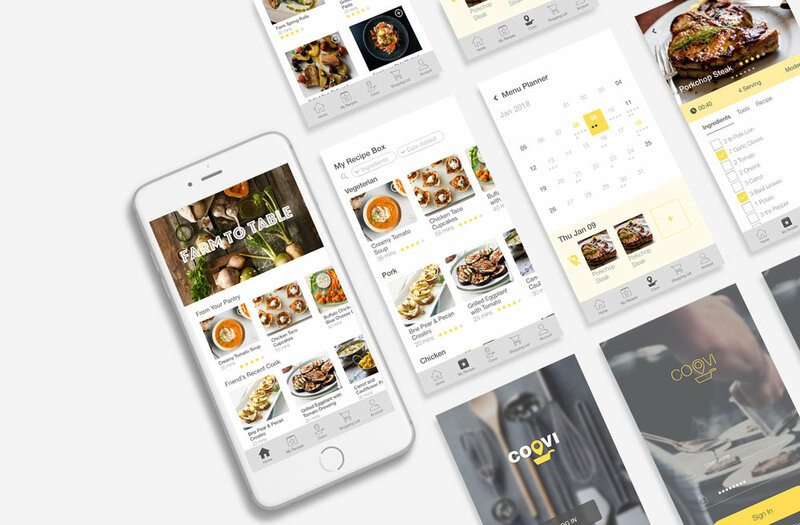 Coovi is a (fictitious) mobile meal planning and recipe navigation product. It helps people plan and prep their meal simple and easy. Further it releases the user from making grocery shopping list and getting recipes suit their palate by synced with other popular grocery products and recipe products like Instacart, AmazonFresh, Yummly, Epicurious, and may more. Recipe Box — Help users easily find and sort their favorite recipes, and add them on their meal planner with simple click and drag. Menu Planner — Monthly, weekly and daily view is available for a straightforward meal planning. Shopping List — Realtime updates and auto sync to user’s favorite grocery shopping app. Recipe Navigation — Step by step recipe navigation with video instructions.